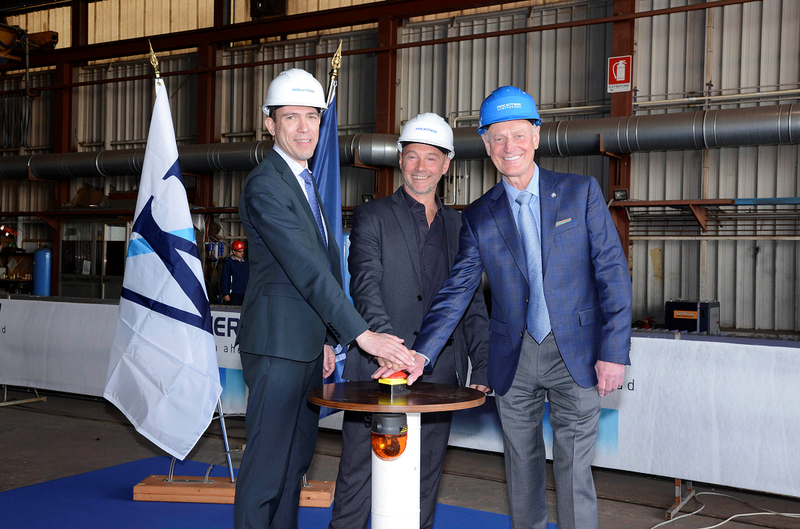 Today at Fincantieri’s Arsenale Triestino San Marco shipyard, in Trieste, Italy, first steel was cut for the first of three new ships sections as part of Windstar Cruises’s $250 million vessel overhaul program. Windstar’s Star Plus Initiative is a complex and comprehensive small ship lengthening, engine replacement and renovation project that will see the owner renovate half of its fleet in succession. Star Breeze, Star Legend and Star Pride will be cut in half to allow the installation of a new stepped mid-body section that will lengthen each vessel by approximately 25 meters. The total capacity of the expanded ships will be 312 guests, and additional staff will be hired in order to maintain the line’s 1.5 to 1 guest-to-service staff ratio. 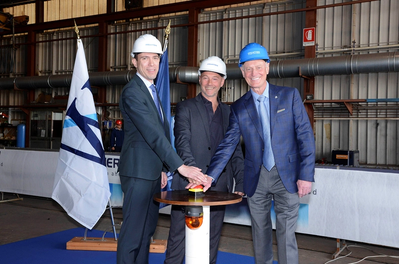 The new sections will be built in Trieste and then will be transported south by barge to the Fincantieri yard in Palermo, Sicily, Italy to be inserted into the ships along with the new engines. The work on the first of the three ships begins on Star Breeze in October 2019 and shall end with the departure of the Star Pride from the yard in November 2020. The timeline requires the new sections to be fabricated from April through September, shipped in October, and then inserted into Star Breeze so that she can be completed in time for her arrival for re-inaugural activities at the port of Miami on March 19, 2020. The extension and modernization project is being performed by the Ship Repair & Conversion part of the Services Division of Fincantieri.